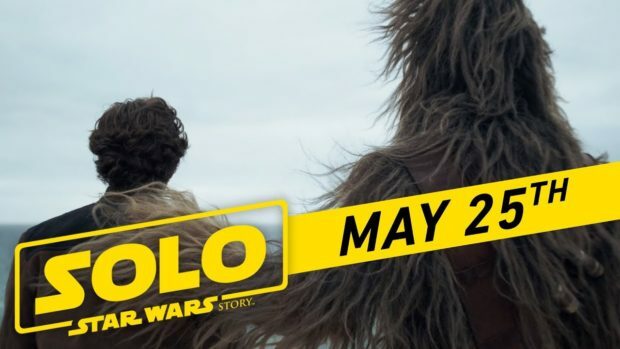 This may be the lowest rated Rotten Tomatoes Star Wars film of the past few years, and yes, it does have its flaws, but that doesn’t mean that when we get to see Han and Chewy sit next to each other for the first time in the Millennium Falcon we don’t get chills. These are the characters that helped define a genre. I’ll excuse a few story missteps if the mythology delivers. First things first: Solo himself. I think Alden Ehrenreich is perfectly cast as Han Solo. He has those Harrison Ford mannerisms down! I loved him in the film. Do I think the writing could have been a bit better in setting up his character? Yes. But I try not to fault an actor for lazy writing. The one issue I have with Ehrenreich’s portrayal comes at the reunion, after three years, to his girlfriend Qi’ra…there really is none. My wife disagrees with me on this, but I feel that both Ehrenreich and Emilia Clarke, who plays Qi’ra, miss some moments when reunited. The new characters are OK. There is a liberal bot that gets a bit annoying being a bit too on the nose. And a new pilot character early on in the film that also feels forced and corny, but overall, the characters are solid. Donald Glover as Lando Calrissian is fantastic. Chewbacca is Chewbacca. The “bad guy” played by Paul Bettany is interesting and heavily connected to the Empire, which leads to a fairly cool reveal late in the film that fans will appreciate. The interactions between Han and Chewy alone make this film worth seeing. There are a few fun to watch action sequences, and we do get to see the famous Kessle Run! So grab your Star Wars buddies and a bucket of popcorn and enjoy watching the beginnings of a character that helped shape a generation of young sci-fi fans. What are the odds that you will see it this weekend? Was on the fence, as Star Wars is sacred to me, and really did literally define my love for sci- fi movies, and of course my fiancé Yoda. And Even George didn’t always get it right. But am going now! Thx for review! !